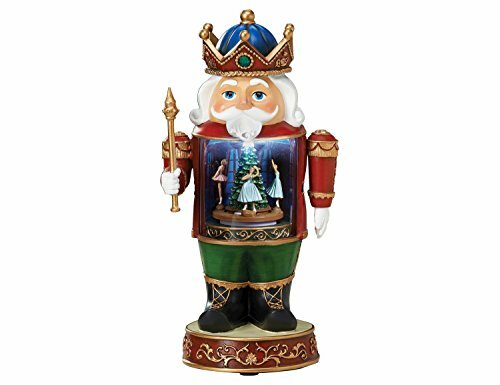 Steinbach's Christmas Legends Series is inspired by Santa Claus figures from around the world, each with his own rich and distinct history and appearance. The 24th nutcracker in this beloved series is the Musical Irish Nutcracker. 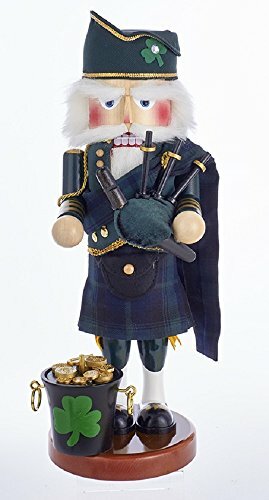 This 17-inch nutcracker is wearing a traditional bagpiping uniform complete with a dark green jacket with gold accents, a matching hat, and a navy blue and green kilt. Intricate details such as a classic sporran on the front and a plaid over his shoulder. staff and a small stack of wrapped presents. To complete his look, he is holding a classic bagpipe and has a bucket full of gold coins at his feet. When wound, this musical piece plays the tune "When Irish Eyes Are Smiling" Like all Steinbach creations, he is crafted in Germany with the finest attention to detail. 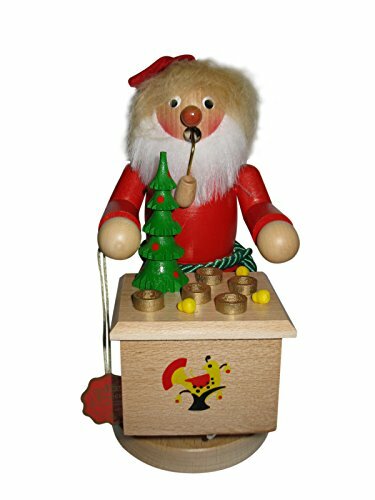 Part of Kurt Adler's Fabriche' collection, this 11" Fabriche' Musical Drosselmeier Santa is a fun and festive addition to any holiday décor. 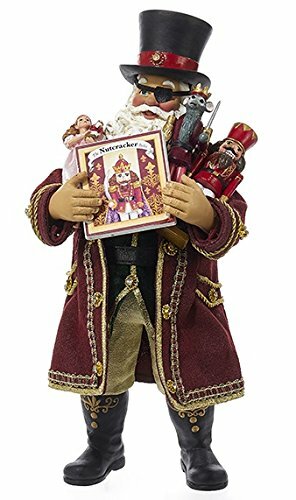 Santa Claus is featured here dressed as the classic Nutcracker Ballet character, Drosselmeier. In his arms he is holding Clara, the Mouse King, the Nutcracker Prince, and a storybook. When wound up, this musical piece plays the tune "The Nutcracker Ballet." The Steinbach O Tannenbaum Musical Santa Nutcracker from Kurt Adler is the first in the new Steinbach Songs of the Season Series. Santa Claus is featured here standing next to a beautifully decorated Christmas tree and holding a small blue ornament. When wound up, this piece plays the tune "O Tannenbaum." Like all Steinbach creations, this piece is hand crafted in Germany with the finest care and attention to detail. The Steinbach family started making nutcrackers and other items in the 1800s in the Alpine regions of Germany.The tradition of creating hand-carved Steinbach German Nutcrackers is carried on by the Steinbach family, which remains responsible for the product concept development, design, manufacture, and quality control at the Hohenhameln factory in the northern region of Germany.Steinbach items are highly collectible. If you are starting a new collection or adding to your existing collection, you will love these unique masterpieces. These treasured collectibles are handed down from generation to generation. 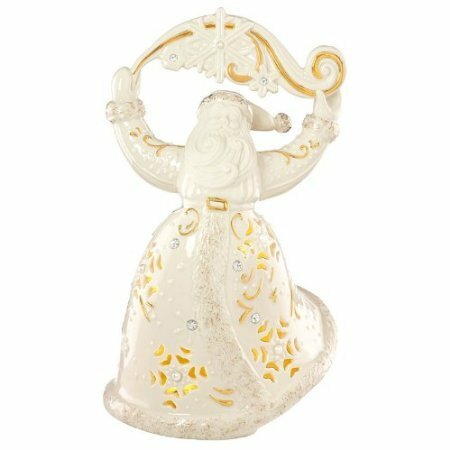 Signed Karla Steinbach 17 1/2" Limited Edition Steinbach Part 1 Twelve Days of Christmas Musical "Pear Tree Santa"
This Renaissance-style Santa Claus glows with light in pierced porcelain. Mr. Claus is decorated with hand-set faux pearls and touches of gold. Makes a festive display piece, and a lovely gift as well. Complete with LED light display. 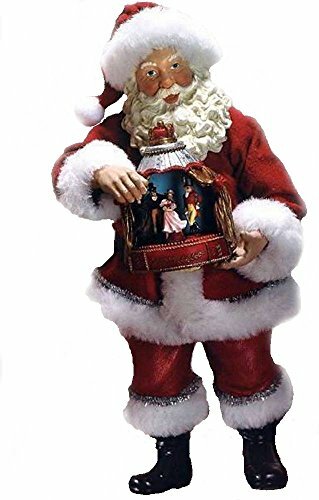 Looking for more Santa Musical Nutcracker similar ideas? Try to explore these searches: Eagle Talon Strut, Napier Flower, and Mitsubishi Galant Exhaust. Shopwion.com is the smartest way for comparison shopping: compare prices from most trusted leading online stores for best Santa Musical Nutcracker, Sun Visor Bracket Screw, Hats Crochet Baby Hats, Nutcracker Santa Musical . 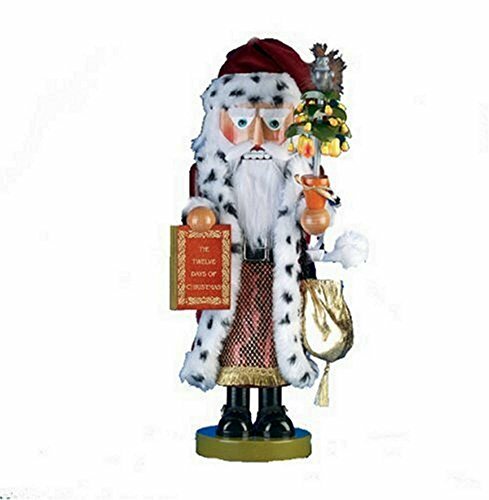 Don't miss this Santa Musical Nutcracker today, April 23, 2019 deals, updated daily.